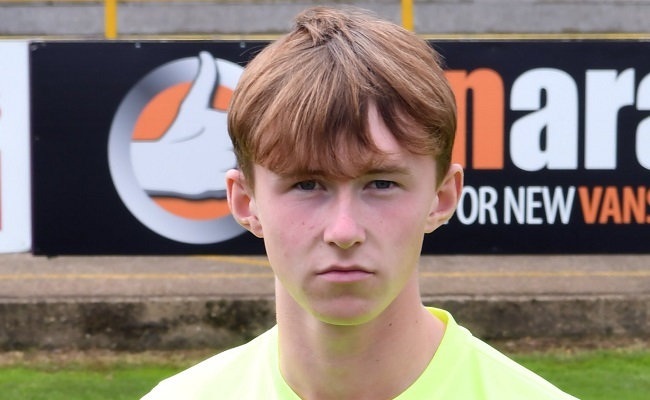 Jenson Bark and Peter Evison scored as Boston United returned to winning ways in the National League U19 Alliance on Wednesday afternoon. The Pilgrims accounted for AFC Rushden and Diamonds 2-0 at Boston Town's DWB Stadium. Bark opened the scoring with a 15th minute header following a Leighton Boughen cross. Evison doubled the lead five minutes after the break with an effort from outside the box. Boston (4-2-3-1): Seth Greeves; Marshall Young, Taylor Gray, Callum Rodger, Jack Brown; Jordan Tate, Peter Evison; Jamie Gaukroger (Jenson Ball 60), Jack Henton (Will Jackson 57), Leighton Boughen; Jenson Bark (Harrison Holland 75). Subs (not used): Ryan Pratt, Arkadiusz Michalczyk.